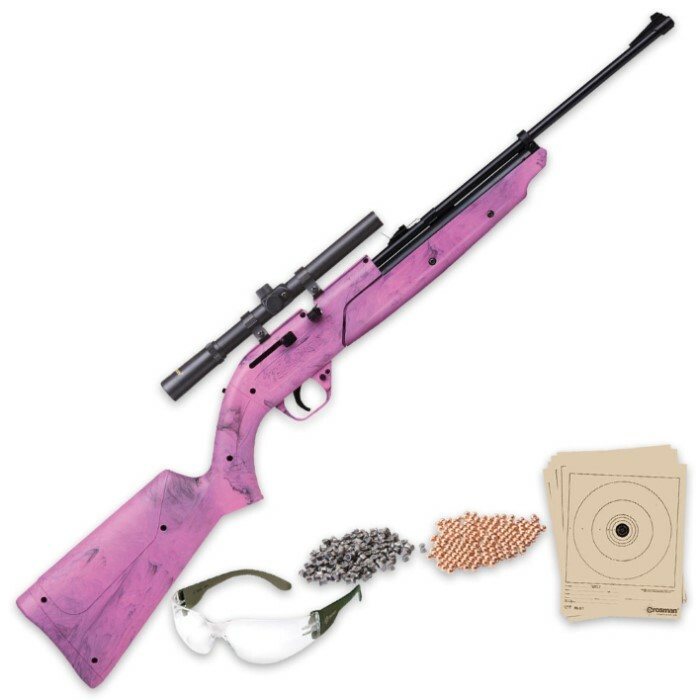 760 Pumpmaster Kit Pink Air Rifle With Accessories | BUDK.com - Knives & Swords At The Lowest Prices! A favorite of folks for four decades, you just can’t beat the 760 Pumpmaster Air Rifle because this dependable rifle offers an experience all its own. 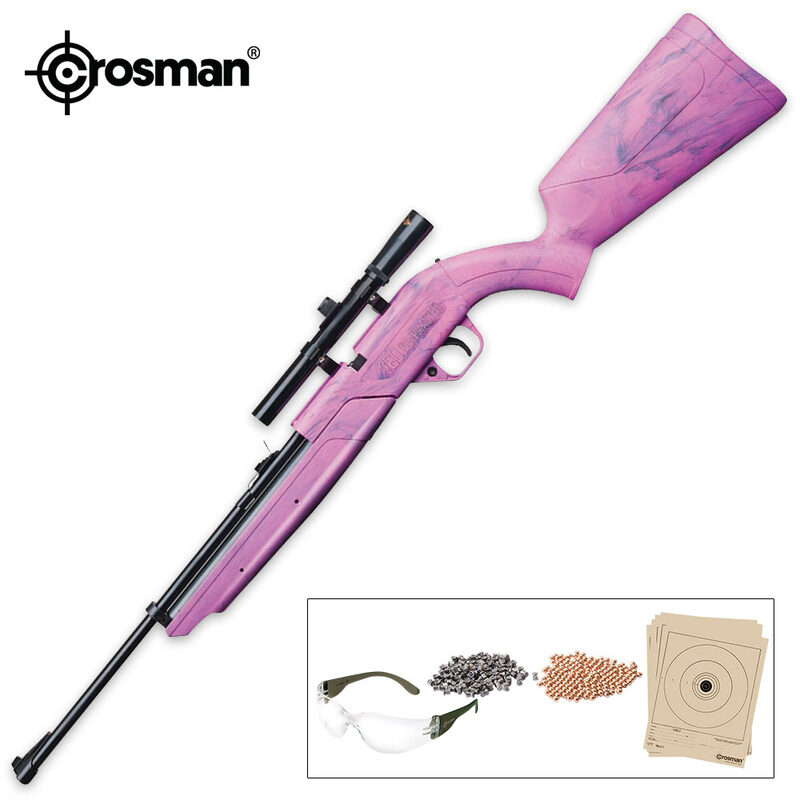 Over 12 million of this proven air rifle have been sold! You even get versatility because it will double as a BB repeater or a single shot pellet gun. 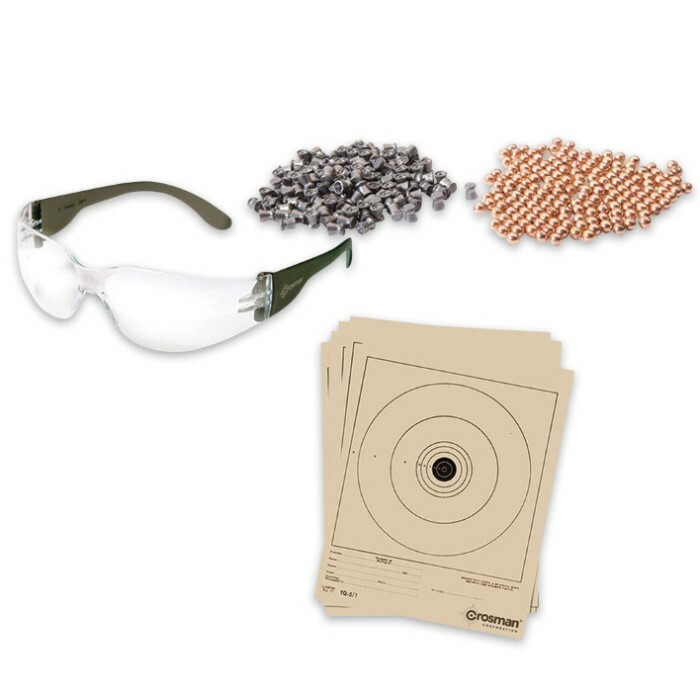 This kit includes 100 premium Copperhead BBs, 100 pellets, shooting glasses, 5 paper targets and a 4x15 scope. The 760 Pumpmaster looks great in classic pink!